There we were…sitting in the small cafe, enjoying a morning shot of coffee and waiting for breakfast to be served as talk among the veterinarians turned to a Salmonella vaccine field trial. Just as the waitress set our eggs in front of us, the scene reminded us of the history of Typhoid Mary. Typhoid Mary (actually named Mary Mallon) was the first person in US history to be identified as an asymptomatic carrier of the pathogen associated with Typhoid Fever. She served as a cook in New York who unknowingly spread the deadly Salmonella enterobacteria to her customers throughout the years between 1900 to 1907. In an attempt to control the damage, New York health officials kept Mary quarantined from the public for the next 30 years. Nearly 100 years after Typhoid Mary’s initial impact on the food industry, health officials are still battling to keep Salmonella out of the food supply. Some infectious organisms only affect a target host, but many can also cross from animals to humans. That risk keeps the FDA and USDA focused on Salmonella enteriditis, which affects poultry and is ranked as the most common cause of human salmonellosis in a recent FDA study. Other prevalent species, like those affecting cattle (S. Dublin) and pigs (S. choleraesuis) pose animal health and performance concerns, are not targeted as a food safety risk. Infections most commonly happen when the animals ingest Salmonellae that contaminate their feed, water or environment. 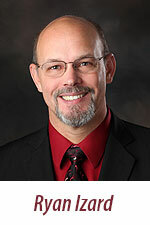 Heat-treating kills Salmonella, so pelleting swine and poultry feeds reduces that part of the load. The best way to disinfect and protect feed that is not heated is to add a food-approved sanitizer like OrganiGuard (for feed) and AquaGuard (for water). Both are proven to kill Salmonella and other pathogens without the risk of antibiotic residues. While fighting Salmonella in the feed and water supply, the animals’ own defenses can be added to the battle through the use of vaccines. Today, vaccines that were originally developed for individual animal dosing have been re-purposed to vaccinate masses of animals via drinking water. During these vaccines’ manufacturing process, a potentially lethal wild strain is modified by a variety of techniques. The newly modified live vaccine organism is no longer lethal and now stimulates the animal to build a strong defense. With defenses in place, the animal is set to fight off the wild-type Salmonella when the bacteria try to invade. The key to maintaining successful vaccination is to ensure that the animals ingest enough of the organisms to build full immunity. The vaccine manufacturer puts a target number of freeze-dried organisms in each vial. Those dehydrated bacteria are dormant, and do not immediately “wake up” when they are rehydrated. Like a runner waking up on the morning of a race, the Salmonella vaccine may take awhile to “get out of bed,” and even when its feet hit the floor it is still not ready to run the marathon. Animal Science Products tested how long it takes to “wake up” a S. choleraesuis vaccine after rehydrating the freeze-dried cake by measuring the activity as the vaccine invigorated itself throughout a 7-hour vaccination period. 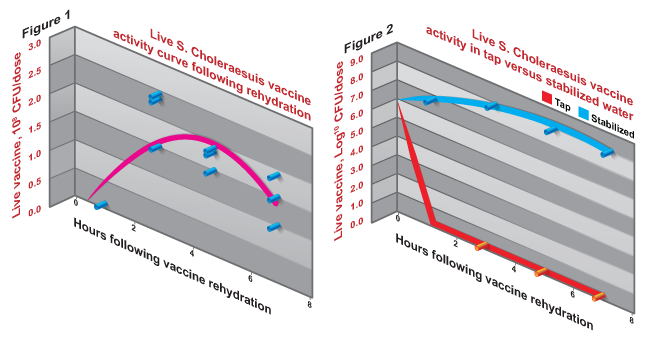 Figure 1, which illustrates the vaccine’s activity 1, 3, 5, and 7 hours after rehydration, shows that the vaccine was very slow to activate, providing very little live vaccine activity even 1 hour after rehydrating. Between 1 and 3 hours after rehydration the vaccine increased activity by over 53 times, then began a modest decline in potency. It becomes clear that there can be enormous differences in how much vaccine a pig would receive, depending on how long after rehydration it consumed the vaccine-containing water. It is critical to make sure the pigs are dosed with a large number of organisms to ensure as many as possible survive the stomach. That is because gastric acid is a well-recognized inactivator of Salmonella. If this vaccine was consumed only 1 hour after rehydrating, it would not have completely activated and would not have delivered a fully effective dose to the pig. These findings suggest we should reconsider the vaccine’s insert, which directs vaccinators to “use immediately” after rehydrating. One of the ways the body kills invading Salmonella cells is by oxidizing them. Oxidation in the drinking water is also a great risk to live Salmonella vaccines. Vaccines can be protected from oxidizing elements in the water by stabilizing the water with Vac-Pac, which reduces harmful elements before adding the vaccine. This protection, shown in Figure 2, highlights how very fragile the vaccine is when oxidizers are present in the water. A vial of the same S. choleraesuis vaccine used in the first experiment was rehydrated and added to two drinking water solutions using the manufacturer’s recommended dose rate (repeated in triplicate). One solution was tap water, tested and known to contain 4 ppm oxidizer. The other solution was the same tap water, to which stabilizer was added. Both solutions were incubated for 1 hour before measuring the vaccine potency, and activity was measured every 2 hours for another 6 hours. Within the first hour following rehydration, there was no detectable vaccine remaining in the non-stabilized tap water. It had completely decayed and the vaccine stayed undetectable through the remaining time periods. In contrast, stabilized vaccine began to “wake up” within the first hour and achieved maximum potency within 3 hours of rehydration, perfectly following the expected activity curve determined in the first experiment. The stabilized Salmonellavaccine held significant potency for at least 7 hours following rehydration. The stabilizer rescued the vaccine from decay, ensuring that pigs vaccinated with this protected vaccine at its peak activity in their drinking water would receive the intended dosage. Slow to recover from its dormant, freeze-dried state, this vaccine strain can show very limited activity early on. Slow activation can be overcome by managing rehydration times. Likewise, the vaccine can be quite fragile and susceptible to destruction from harmful elements in the drinking water supply. These elements can be effectively reduced by stabilizing the water with Vac-Pac before adding the vaccine, allowing it to fully express its activity and thus immunize the pig – protecting animal health and performance. Salmonella has been a deadly disease since long before Typhoid Mary served it up to New York customers and brought it to the front page. Modern-day news alerts regarding Salmonella and food safety are so common and alarming that they might suggest that all Salmonellae are indestructible. This is just not the case. This research shows that although wild-type Salmonellae are generally considered hardy organisms, the modified live vaccine strains can be fragile and susceptible to threats in the water supply. Live vaccines stand the best chance of successfully protecting your animals’ health when the vaccine is activated correctly and nurtured in a powerful stabilizer such as Vac-Pac.